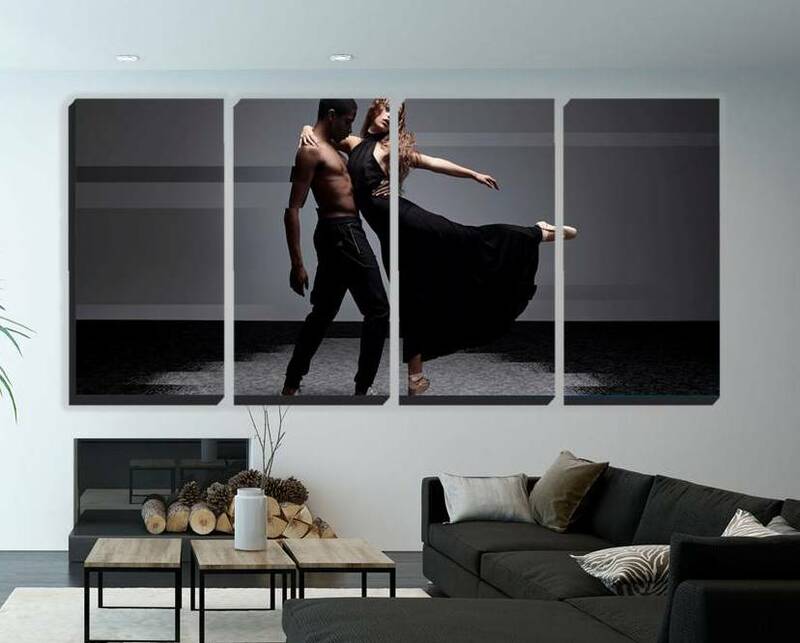 4 Panel Split Canvas Wrapped-Panoramic Dance Scene Artistic Black. Size is the total of all panels measured side by side. Size is the total of all panels measured side by side. 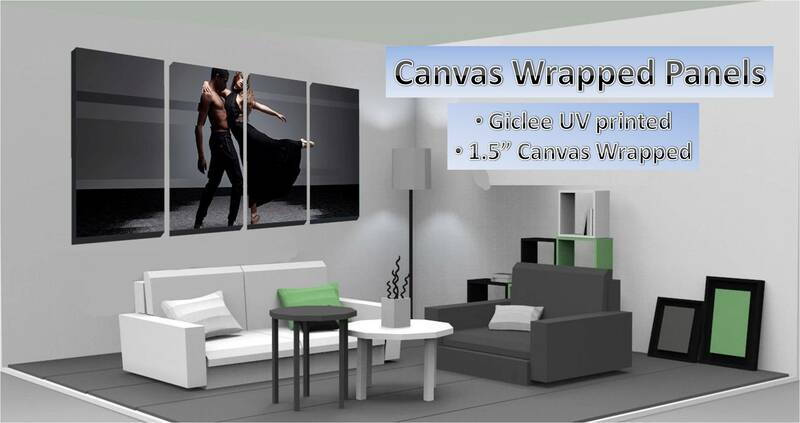 Giclee UV printing process. Stretched canvas over 1.5″ stretcher bars. Tight folded corners. Mirrored edges so you don’t loose any of your image but still wraps around. Customization available. 24" x 10", 36" x 15", 46" x 20"